Kyle Grillot - kgrillot@shawmedia.com Andrei Chugunov of Cary skies down a trail at Moraine Hills State Park Friday in McHenry. 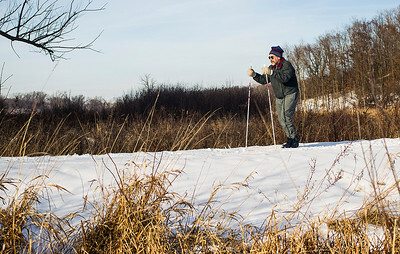 After 4 inches of snow accumulates, the McHenry County Conservation District grooms over 40 miles of cross-country ski trails at 19 different sites throughout the county. 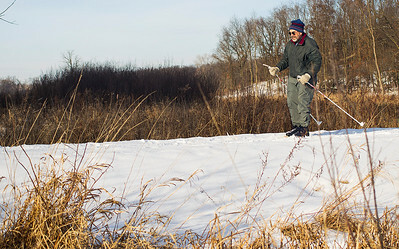 Moraine Hills State Park offers more than 10 miles of trails through the park created by glacial deposits. Seasonal habitation of the park area extends back to approximately 4,000 B.C. 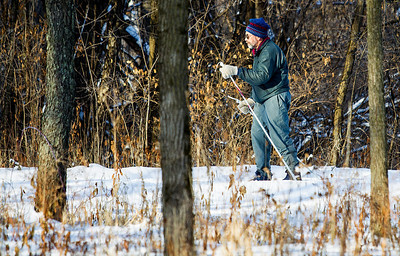 Andrei Chugunov of Cary skies down a trail at Moraine Hills State Park Friday in McHenry. 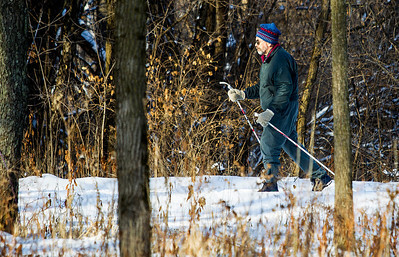 After 4 inches of snow accumulates, the McHenry County Conservation District grooms over 40 miles of cross-country ski trails at 19 different sites throughout the county. Moraine Hills State Park offers more than 10 miles of trails through the park created by glacial deposits. Seasonal habitation of the park area extends back to approximately 4,000 B.C.